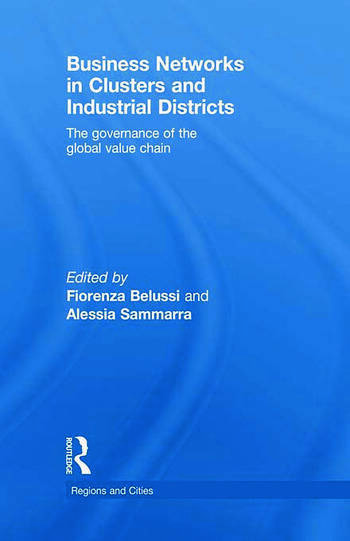 During the 1980s the Marshallian concept of industrial district (ID) became widely popular due to the resurgence of interest in the reasons that make the agglomeration of specialised industries a territorial phenomenon worth being analysed. The analysis of clusters and IDs has often been limited, considering only the local dimension of the created business networks. The external links of these systems have been systematically under-evaluated. Fiorenza Belussi is Associate Professor of Strategic Management and Organization at the University of Padua, Italy. Alessia Sammarra is Assistant Professor of Strategic Management and Organization at the Faculty of Economics, University of L’Aquila, Italy.